Why Does Ibs Cause Lower Back Pain? People who get back pain from IBS (Irritable Bowel Syndrome) have what is called referred pain. This is a type of pain that does not occur at the source (for example at the lower back). In this case, constipation, gas, or bloated condition associated with IBS is causing back pain. IBS has already happened to nearly 15% of the individuals in the USA. It often starts in adolescents or young adults. It affects almost twice as many women as men. The most common cause of IBS is anxiety. IBS can be painful, but it doesn't cause cancer or damage the bowel. If left untreated, hemorrhoids or depression may develop. Doctors think that IBS might be caused by a neurological problem. The intestines receive messages from the brain, while they send impulses back. The more stressful a person is, the less powerful is the brain's capacity to send messages to the intestines. The intestines move food either too slow or too quickly. Because of the condition, diarrhea and painful cramps or bloating and constipation can happen. People with anxiety, stress, and sleeping disorders may develop IBS. People most likely go for OTC meds that fix constipation or diarrhea but only temporarily. The relief you feel isn't long term. It doesn't solve the issue. Anxiety pills might be given by the doctor due to the connection of IBS to stress and anxiety attacks. Even though these may somewhat help IBS, some people develop dependence. Taking a lot of medications might cause negative effects on one's health, so make sure you know all about the drugs. If you use Bavolex as recommended and follow the tips in our eBook, you should see a considerable improvement in a few days. We want to make our customers happy and healthy, and that's why we offer a 60-day money back guarantee. Our guarantee is simple: If you are not absolutely astonished by the improvement, we do not want your money! Manufacturing safe products is extremely important for us. Bavolex™ contains only natural extracts from plants and herbs that are considered safe. Although numerous customers use Bavolex each day since 2009, no serious side effects have been reported. As with other supplements you should not use Bavolex products while nursing or pregnant because the effects on fetus have not been determined. You should not take Bavolex if you are using blood thinning medication or antidepressants. 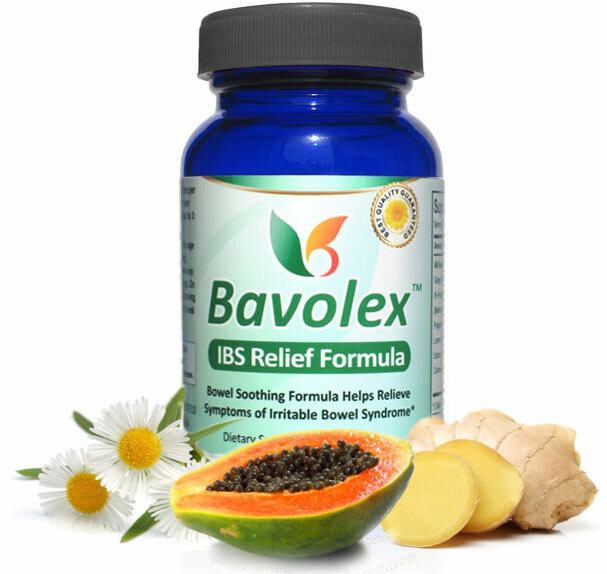 "Bavolex IBS Relief Formula is a dietary supplement formulated with enzymes and natural extracts to help reduce symptoms of IBS. 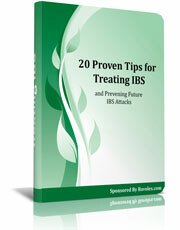 *"
In this eBook, you'll learn 20 tips to stop IBS attacks forever. These tips cover diet, stress reduction, and ways to prevent an IBS attack. This no-nonsense eBook comes as a bonus when you order Bavolex today. A must-read for those who want to stop this painful inconvenience. Order Bavolex and receive this free eBook INSTANTLY by email, so that you can start applying the advice and START FEELING BETTER TODAY! 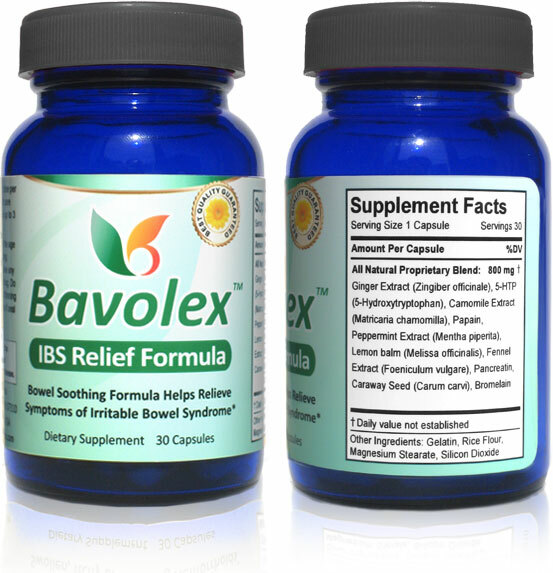 Natural ibs remedy Bavolex Natural IBS Remedy Bavolex herbal supplement uses natural ingredients such as chamomile, fennel seed, peppermint, ginger and lemon balm, to name a few, as a natural IBS medicine.